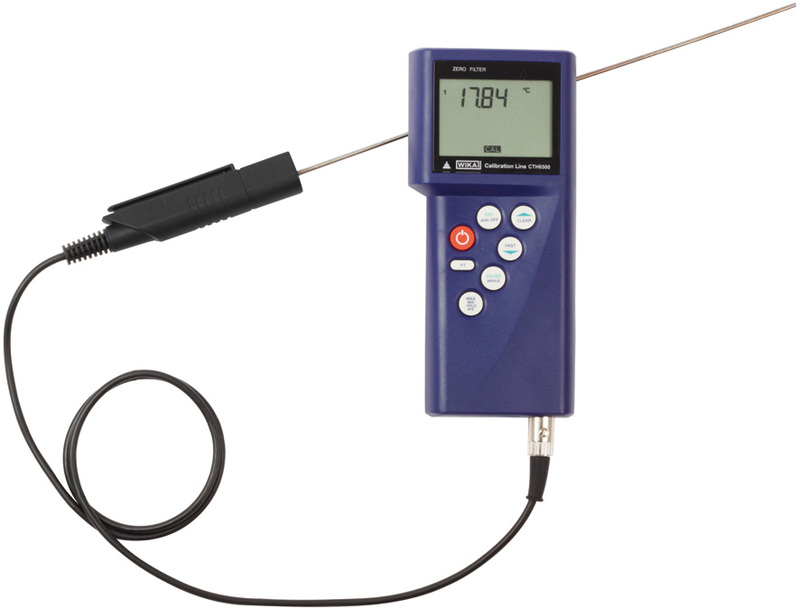 The new CTH6300 hand-held thermometer from WIKA is flexible in operation and, at the same time, value-for-money. The fast-acting instrument operates with an accuracy of up to 0.1 K over the complete measuring chain. 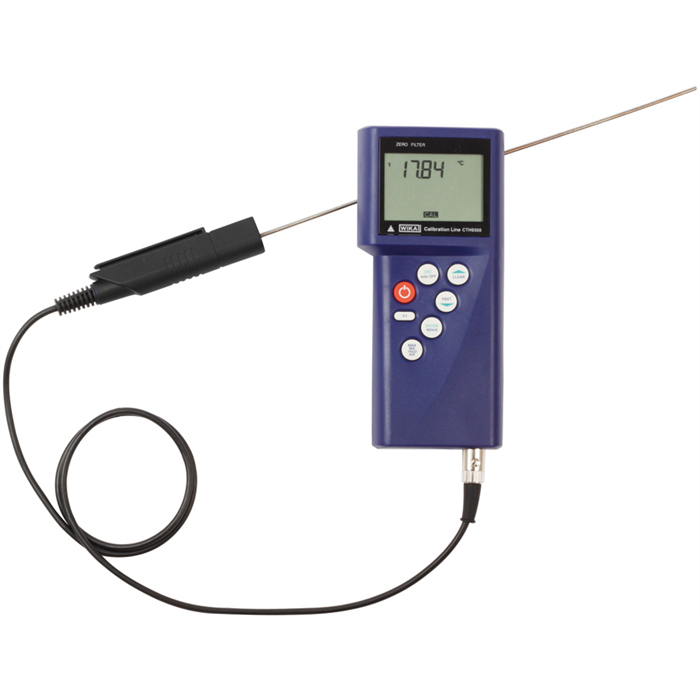 The portable thermometer can be combined with Pt100 resistance thermometers and all established sensor types. It therefore covers a range from -200 °C to 1,500 °C. The CTH6300 is easy to use, with a large display and min/max memory, and is also available in a two-channel version. It is equally suited to temperature measurement and also calibration tasks. Customers can order the hand-held with a DKD/DakkS certificate. With this new instrument, WIKA has delivered a uniform "look and feel" for the product family. Accessories have also been matched appropriately. There is also a service case available for the CTH6300.